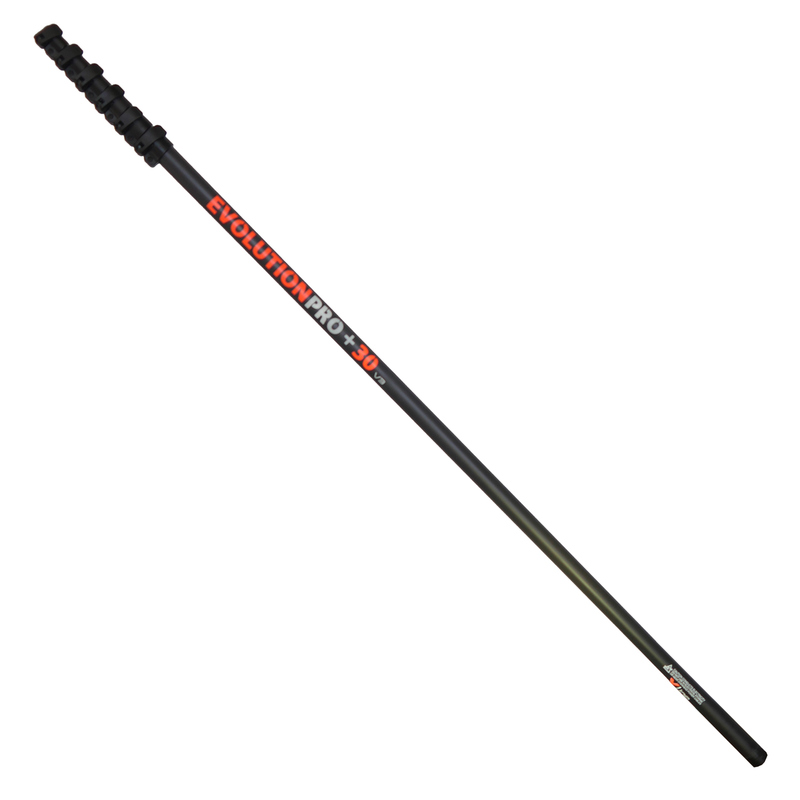 100% carbon fibre 30ft waterfed pole, extremely lightweight and durable. Contains 6 sections with 5 clamps. Great great pole, lightweight for a 30ft length, clamps are on par to gardiners new lateral clamps and very easy to replace if need be. Extremely smooth glide action, and with hardly any flex, and what makes it better is that angle adaptor, aluminium base cap and hose are fitted as standard with purchase price. Well done x-line for a truly good product.